Looking for the best 3D Blu-ray player can be quite a challenge for some of us. Although there are already a lot of models available on the market to choose from, not all of these are able to provide us with the best results when it comes to showing HD quality movies. Because of this, it is important for us to know the features of each of the models of the Blu ray player in order to determine which of these are worth spending money. Below is a short list of the most popular 3D Blu ray players these days. 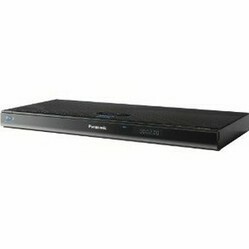 But the question is; which of these is considered the best 3D Blu Ray Player 2011? One of the model names that will surely surface when it comes to the best 3D Blu Ray player is no other than Sony’s BDP-S770 3D Blu-ray Disc Player. This amazing device has a built-in Wi-Fi that allows fast connection to any wireless broadband network. Aside from this, the Sony BDP-S770 3D Blu-ray Disc Player has an amazing 3D Blu-Ray Disc Full HD 1080p playback and can support the standard Blu-ray Disc movies and upscale it into HD quality for more amazing effects. This one of a kind player is also made with a USB input in order for us to attaché other gadgets such as our cameras, MP3 players and a well as a storage device. It also has a built in memory of up to 1 GB. Another name that rings a bell when it comes to the best 3D Blu-ray player is LG’s BD650 3D Network Blu-ray Player. This amazing player is able to show stunning Full HD 1080p with Smart TV that can allows us to access movies, Apps and other online videos straight into our television sets with the help of an Internet connection. This too delivers the best when it comes to HD and can definitely bring the meaning of home entertainment into a whole new level. Aside from LG, Samsung’s BD-D6700 3D Blu-ray Player is also one of the top models to beat. It does not only provide cool features, but its style and design is considered to be one of the best to date. It is sleek and slender making it very light and compact. This provides it a very modish look that can surely blend well with all types of room design. It also carries a web portal that allows us to surf the net and use the different Samsung Apps. In addition to the ones mentioned above, the Panasonic DMP-BDT310 3D Blu-ray DVD Player can also provide Full HD 3d technology with the use of DMP-BDT310. This also goes with the VIZIO VBR133 3D Blu-ray Player with an amazing crystal clear Blu Ray 3D playback. This goes along with a 3D TV, 3D glasses and a high speed HDMI cable. Last but not the least is another of LG’s design which is the LG BD690 3D Wireless Network Blu-ray Player. Just like most of the models already mentioned, this device is also hooked with the Smart TV Access. IT also contains a media library that can reach a memory of up to 250 GB allowing us to store thousands of photos, music files and videos. These are just some of the amazing 3D Blu Ray Players of the year 2011. As we can see, there are indeed a lot of models to choose from. Nevertheless, it is up to our preference as to which of these we would like to see sitting comfortably on top of our living room table. Visit my Squidoo lens, Best 3D Blu Ray Player 2011 for more information on these products and others.